Welcome back to Top 10 Tuesday hosted by The Broke and the Bookish! This week is all about our favorite authors and giving some good “readalikes” for you to enjoy. When I saw that the topic was Ten Books To Read If You Like This Super Popular Book/Author, I immediately knew I wanted to talk about Jane Austen. Austen is one of my very favorite authors of all time, and I am super excited about this list! I have talked a bit about Austen here on my blog before in connection with Austen in August. Check out my favorite adaptations and a few thoughts on the Austenland books. Enjoy this list of Austen inspired novels, Austen spin-offs, Austen-like novels, and a bit of Austen herself. Edenbrooke by Julianne Donaldson // One of my favorite romances of all time. Donaldson is a brilliant (and clean) romance writer who crafts a story and characters reminiscent of the great Austen herself. A beautiful love story. Blackmoore by Julianne Donaldson // The second novel, unrelated to Edenbrooke, by Donaldson explores a new love story set in the gothic estate of Blackmoore. I think of this one as a combination of Northanger Abbey and Persuasion. Austenland by Shannon Hale // A fun and spunky modern love story about an Austen-obsessed American who goes to Austenland to find herself and hopefully move on from her Austen fanaticism. Quirky, hilarious, and fun. Death Comes to Pemberley by P. D. James // This is my favorite novel that continues an Austen story line. The Darcys are making final preparations for their annual ball when the Wickhams unexpectedly arrive and George Wickham is accused of the murder of his best friend, Captain Denny. P. D. James is a master of the murder mystery and she does not disappoint here. Jane Eyre by Charlotte Bronte // I absolutely love this novel. It presents a rather different take on life in early 19th century England. But also matches Austen for beautiful writing, classic style, and a beautiful love story. Cranford by Elizabeth Gaskell // I love this little series of stories about the women of Cranford, a small town made up of strong minded women who must deal with a changing “modern” world in 19th century England. My favorite story is about a cat swallowing some prized lace–too funny! Little Women by Louisa May Alcott // I recently reviewed this book here. 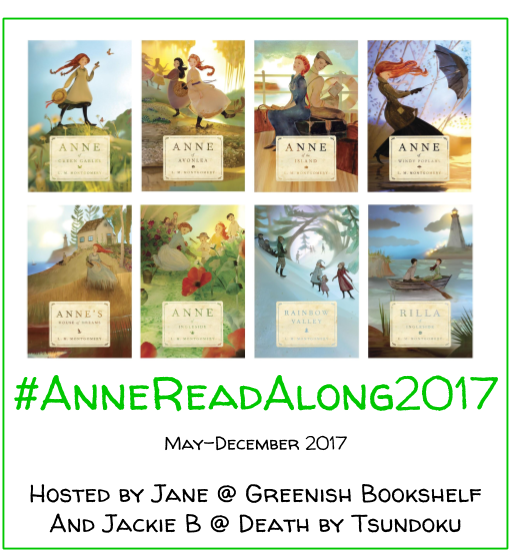 I include it on this list because it focuses on characters, family relationships, and coming of age like many Austen novels. A beautiful story and characters. Evelina by Fanny Burney // This is a lesser known novel published in 1778 (before Austen’s novels). This epistolary novel (written in letters), follows the coming of age story of Evelina as she enters British society and falls in love. It has been said that Burney was an inspiration for Austen’s work. Belinda by Maria Edgeworth // This one is on my Classics Club list to read. Another contemporary of Austen, Edgeworth’s novels are morally and socially didactic, usually to the extreme. 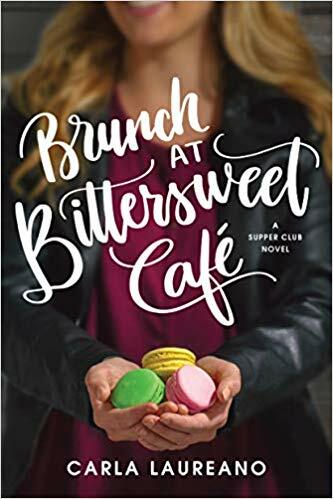 Belinda follows the coming of age story of a character of the same name who builds relationships with various families in whose homes she lives. Persuasion by Jane Austen // Ok. I know this is by Austen, but it deserves to be on this list. This is my favorite Austen novel. I love the characters (endearing and ridiculous), the settings, and the beautiful love story of patience and enduring. 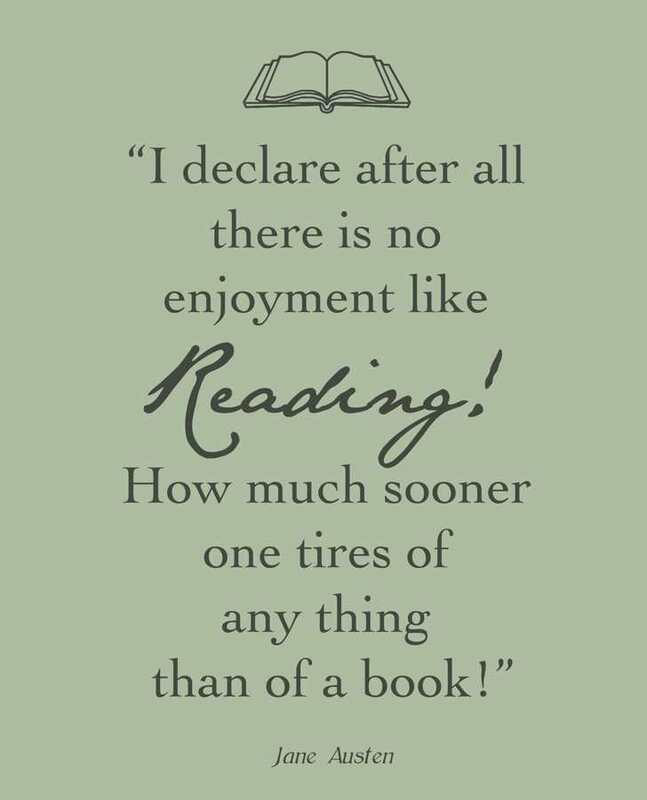 If you have not read any Austen, I encourage you to start here! Anything I am forgetting? Favorite Austen novels? Favorite Austen inspired novels? That sounds fun! I will have to check it out! Persuasion is may favorite, too! Persuasion is my favorite of Jane Austen’s novels as well! All her stories are great, but I love the maturity of Persuasion. Donaldson and Gaskell are favorites of mine as well! Awesome! And I definitely agree. It’s just so beautiful how their love story develops. Always glad to find another Donaldson and Gaskell fan as well 🙂 Thanks for stopping by! Yay! Glad to meet another fan of Persuasion! I highly recommend Edenbrooke–it’s just lovely! And thanks so much for that recommendation. I haven’y heard of Georgette Heyer but I need to check out her works. Thanks! Great list 🙂 The Austenland film is probably the most hilarious thing I’ve ever watched – I’m going to have to try the book! If you haven’t seen the Death comes to Pemberley adaptation you might want to check it out as well – I wasn’t a fan of the Elizabeth they cast, but otherwise it was pretty good! I agree! Austenland the movie is just hilarious and ridiculous! The book is just as fun for me. I have seen that adaptation. I was pleasantly surprised too. thanks for stopping by! My favorite jane Austen is Northanger Abbey. I’ve read both of Donaldson’s books and absolutely loved them. I agree about Jane Eyre and Little Women. I haven’t read the rest of them but I will try Cranford because I was only recently asking about Jane Austen like books on my blog. So thank you! Happy reading! Thanks for stopping by! Northanger Abbey is so fun! I love the sarcastic gothic. Yay! I’m always glad to find another Donaldson fan. And do try Cranford–its more accessible Gaskell and still a lot of fun. The BBC adaptation with Judi Dench is really lovely too. P.S. Forgot to leave My TTT. Sorry! 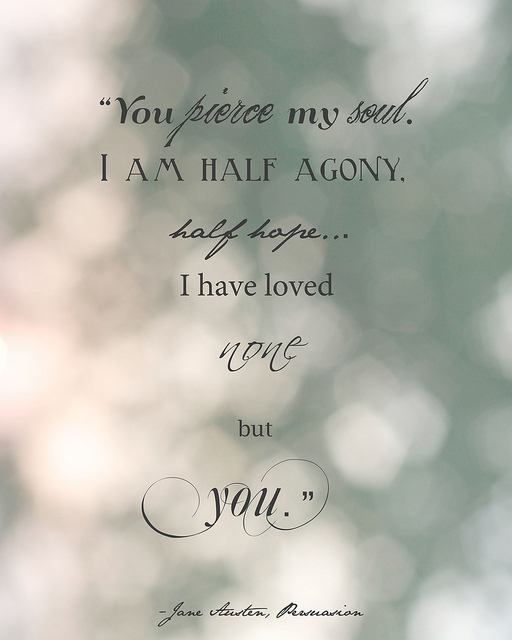 Oh my god, Jane Eyre is LIFE! 😋 My fave JA is totally Mansfield Park. I agree! Ah, its just so lovely. I was pleasantly surprised by Mansfield Park–a great Austen novel! Great topic! I love Austen and will have to check some of these out. I have seen Gaskell recommended to Austen fans quite a bit, I will have to get my hands on some of her works ASAP! I also want to read some of the fun Austen inspired works like Austenland! Thanks for stopping by! I hope you get to Gaskell sometime soon. I think Cranford is a bit easier to get through than some of her other works. I have been working on North and South for a while and while I am enjoying it, it is definitely slower than Cranford for me. And Austenland is just hilarious and fun–enjoy! Awesome! I will definitely check out your list. I am so glad that you know Austenland and Julianne Donaldson! Both so fantastic, right? 🙂 Haha I appreciate that !